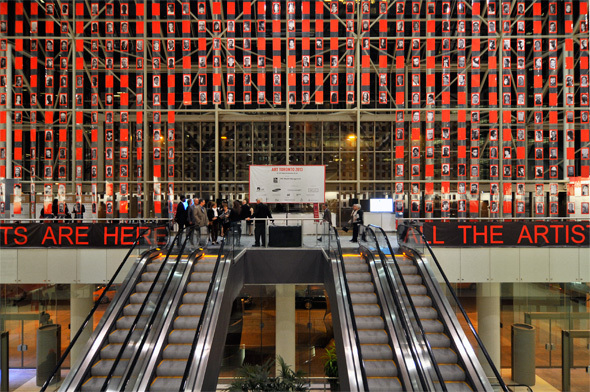 Art Toronto 2013 opened today at the Metro Toronto Convention Centre. TIAF is Canada's only international art fair, and it's a great chance to immerse yourself in some of the best contemporary and even traditional artwork Toronto has to offer via both established and young galleries, plus be exposed to art from around the world (13 countries in total are participating.) 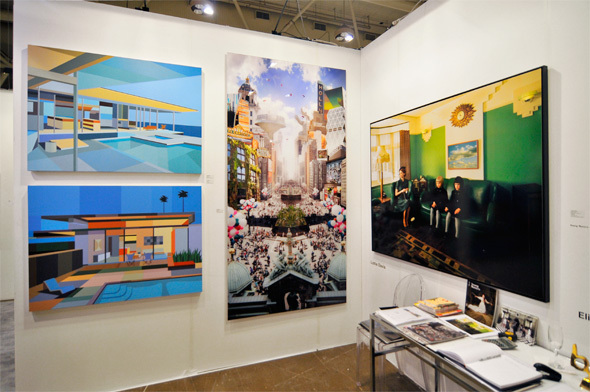 Before you go down to check out almost 200,000 square feet of art spanning the four day The Toronto International Art Fair, here are some highlights to look out for. Observe the rich and powerful both in their natural habitat (a place where they can conspicuously spend money) and out of their element (few of the people signing cheques have an arts education or much affiliation with at least early to mid career artists, who tend to hang around thrift stores rather than Bay Street.) For those with slimmer wallets, there are also a number of works going for under $1000, including some lovely $200 drawings by Roselina Hung, which you can browse on artsy.net. Stand out works in the show are, of course, Max Streicher's "Quadriga" a.k.a. 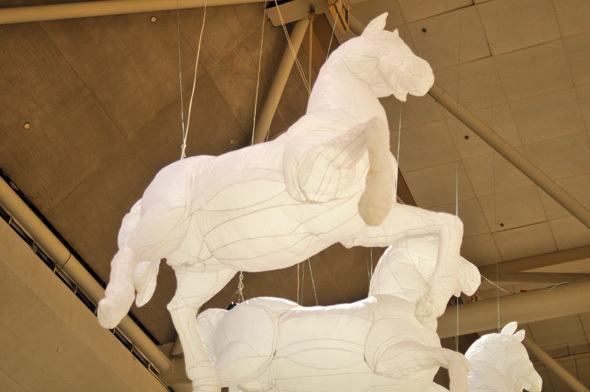 "those flying white ponies" (look up! 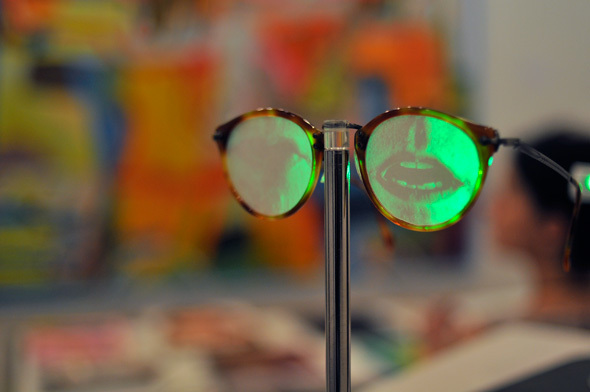 ), Evan Penny's surreal portraits, Wyn Geleynse's film screening on a pair of eye glasses, Pascal Caputo's half-missing canvases, Mitch Mitchell's terrifying giant breathing... bag. Most impressive galleries include Belgium's Galerie Van Der Planken ($5000 Marcel Dzamas, Liesje Reijskens's hi-fi femme photos, Tomballe's disco ball penguins), Toronto's Le Gallery (Simonetti, illustrators Luke Painter and Mitsuo Kimura) and London's Cynthia Corbett Gallery (Tom Leighton and Lluis Barba's phenomenal collages, a private room to shoot selfies in.) Art Metropole also has a large set up where one can easily lose an hour or two browsing books. Art Toronto isn't all walking around for hours in heels and grimacing — there are some great chances to sit down. Blessed are those who sit. If you're into learning about collecting art, curating, contemporary photography, or why painting is alive and well, the fair invites you to rest your weary body in a (likely semi uncomfortable) chair and take in some of their scheduled daily programming. The full schedule is here. Something smart phone wielding visitors might find interesting is Thom Sokoloski's "ALL THE ARTISTS ARE HERE," the first thing you'll see as you come in. The huge panel of red-framed black and white portraits of each artist works with a map of QR-Codes, meaning you can learn more about the artists, and bookmark the ones you want to remember. Another cool feature this year: you can browse and search over 2200 works showing at Art Toronto here in this Artsy gallery, and if you register for a free account, you can building a shareable gallery of your favourites. It's not hard to lose track of Toronto's art scene. Galleries are scattered across the city and the majority of art shows (and even galleries) come and go without much press or advertising fanfare. Art Toronto is one remedy for that. While you can connect with galleries from all over the world, by locating the in ones Toronto showing work that really resonates with you you'll easily be able to make a connection, keep tabs on them in the future, and drop by their openings. As in years past there's a great mix of Toronto galleries, from established places like Olga Korper and Mira Godard to emerging ones like LE. With all the talk of millions of dollars changing hands, it's worth taking time to remember the actual artists. Many working artists I know can't even afford smartphones (even those showing in TIAF) and a life dedicated to searching for truth and/or beauty probably doesn't include too many trips to grand scale market places like Art Toronto — but it totally should. It's pretty magical to see all these individual works in one place, and with all the variety the fair offers you're sure to see something challenging or wonderful, once the suits chatting in front of it move out of the way. The truth is out there. 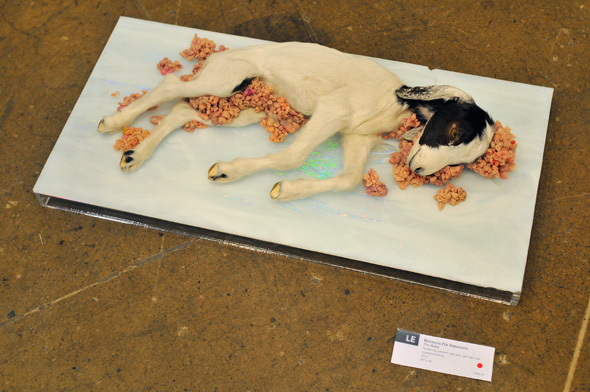 Art Toronto runs Friday and Saturday 12-8pm, and Sunday and Monday 12-6pm. General Admission tickets are $18. Passes and student deals are available.